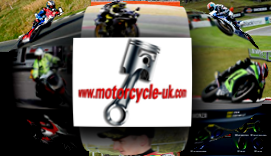 Motorcycle UK are also the proud owners of the Motorcycle Gifts website and would love to speak with potential advertisers. Our aim is to bring together the best motorcycle parts and accessories sites on the web in a directory of information. We are also always on the lookout for interesting and useful motorcycle gifts. Motorcycle UK are proud let you know about J&S Accessories Advent Calendar give away. Visit the calendar daily for a new deal each day and a little Santa discount.